Summary: Young Daisy sees her parents thanking God for various things so she decides to try it herself. As Daisy considers what she should be thankful for, her gratitude journey quickly becomes very meaningful, moving from concrete objects & people to abstract ideas, eventually encompassing everything. 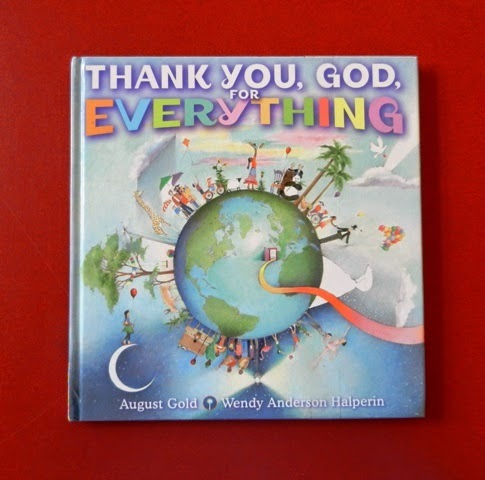 Hanna’s Comments: The author, a renowned spiritual director of Sacred Center New York, offers some wise advice in the Forward for introducing spiritual gratitude to young children. This illustrator is one of my favorites. Because of the multiple images in each double-page spread, you may want several copies of the book so that your children can view the multiplicity of images and offer their own ideas.